Own an unruly horse? Thinking about purchasing a horse but don't exactly know what to expect once you do? Ever wondered what and how a horse thinks? 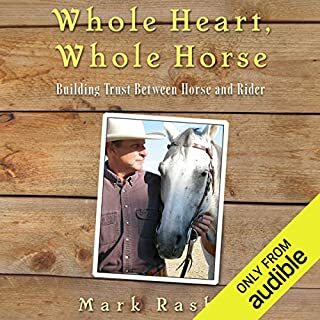 Mark Rashid tells stories that provide horse owners and potential buyers with the best training solutions - straight from the horse's mouth. By considering the horse's point of view, he explores a variety of solutions to common training problem like head tossing, trailer loading, mounting problems, and more. After years of training and teaching, Rashid assures you that you don't need to sell that rebellious horse of yours, and there's no need to panic if you just bought a horse with a problem and don't know what to do. More likely than not, the answers are here for you. 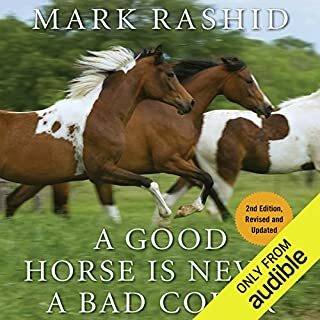 ©1993, 2010, 2014 Mark Rashid (P)2014 Audible, Inc. 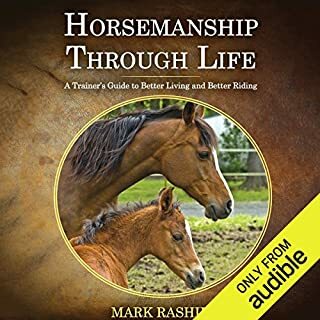 This is primarily a book about techniques and problems regarding horse training. I am known as a horse nut. I have had horses all my life until recently and I grew up on a cattle/horse ranch. So needless to say I am very interested in the topic of the book. Rashid discusses the most serious problems horses face that of the human attitude and temper. The author uses logical explanations and personal stories to explore and explain the root behavioral and training problems. The author tries to look at a situation from the viewpoint of the horse and proceed from there. Rashid attempts to explain why horses react in certain way and what you can do to counter it. The author adds a note of humor to his writing so it makes the book entertaining while the reader learns something. The book is well written. 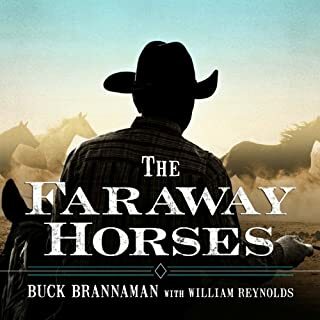 If you are a horse lover you will enjoy the book. Kevin Young does a good job narrating the book. Thoroughly enjoyed listening to this book and all of Mark's books. I have bought them all and will listen over and over. This book made me laugh. It also made me cry. But most importantly, it gave me hope and inspiration and understanding. This book is a MUST read. The narrator captures the scenes very well. ....just as much as his other books! Now I'm off to listen to more. Such a fantastic way of communicating with horses. an understanding of horse behavior and needs. 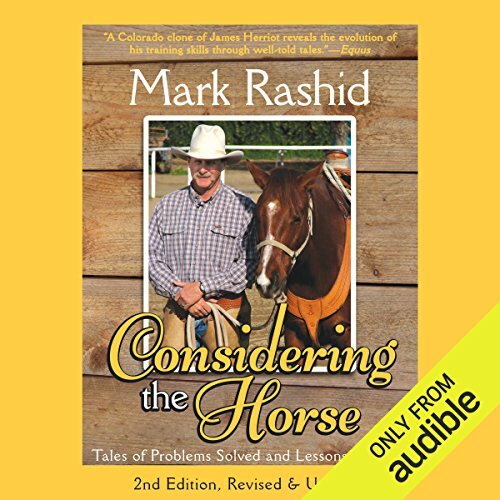 Mark Rashid is a good writer and deftly shares numerous training methods and problem solving solutions within memorable stories. The stories make for a good teaching method, making the ideas easier to remember and apply. The pdf file of illustrations that are in the written book is a generous addition to the audio book and I downloaded, opened, and enjoyed all the illustrations first before listening to the book. As he told the stories, the drawing that went with it was easily remembered. 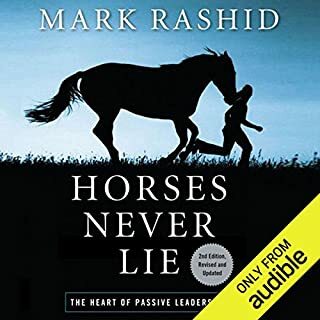 The original chapters of the first edition of the book, written some years ago, were read, then followed with commentary by Mark Rashid as he reconsidered his original training ideas. Most of the time he simply added more that he had learned in the meantime, and a few times he had changed his mind about a method and explained why and what he now chose as a better method. We all change over time and I like the way he chose to edit this book. I don't like sad stories, but although there are some moving memories shared, they are meaningful and precious and not heart-breaking. There are a few hilarious moments shared too. More people seem to be getting aware of better ways to treat and be with animals and it is trainers who are in the best position to further this evolution. Well, the "good" trainers, at least. Mark Rashid's books are a contribution to humanity's evolution and awareness. Graceful narration. Well done all around. 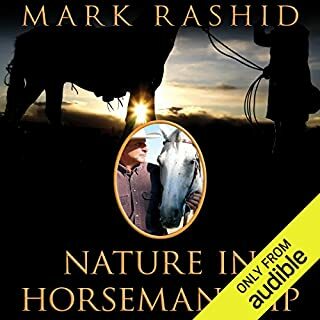 Where does Considering the Horse rank among all the audiobooks you’ve listened to so far? I've read/listened to every Mark Rashid book on here and all I can say is, Mark.... write faster. What was one of the most memorable moments of Considering the Horse? Doc.... I went through that with Star, my old horse, but I had him put down, not shot. I did the same as Walter, feeding him, getting a Equine Dentist for him, anything I could think of. My Vet said I gave Star 5 years more than he ever thought I could and he was in great shape due to that, until his decline which took about a month. I had a hard time letting him go. But, I'll see him again when I get home and, we'll go for a ride. What about Kevin Young’s performance did you like? Kevin's read was as if he were Mark telling it, isn't that the best anyone can do. Kevin was invisible, which is how he should be. That is perfect to me. I think I answered that already. Mark Rashid.... write faster. I was so excited to see this released, finally I had something to listen to when I'm mowing, fixing fences or driving to town. Now.... I have to find something to listen to. I will listen to anything you want to write, about horses. Well written, very informative, got me right in the feels at the end. This is a book I will definitely be reading again. Of course I love the philosophy of considering the horse and the fact that the end resonated with me so strongly that I ugly cried. I really hate that this book might actually get someone killed. Mark says the worst thing you can do with a bolting horse is pull on the reins but isn’t specific about other options other than running up a hill or making sure they stop well before riding a horse which is usually not an option for most. I make my living training horses, I have ridden many bolting horses and have had great success stopping bolting horses by insisting strongly that they stop by sitting back and using a pulley rein. In proportion to what is needed. just like if your horse picks up a trot when you didn’t ask you then ask him to come back to a walk, why do so many trainers think when your life is in danger you can’t insist they come back into control? Also in the head shaking section he doesn’t even mention head shaking syndrome which is fairly common and can’t be fixed in the way he describes. I have ran across a few head shakers and the first one I met when I was a teenager and didn’t know better I believed was just badly behaved. when he was actually suffering I wish someone would have told me about head-shakers syndrome. I loved the stories and ideas. I really like that as time evolved he's learned more and goes back to say why or what gree would change now.